Porcelain slab countertops are not entirely new, but they definitely qualify as enormously improved, and are poised to grab a well-deserved share of the market. Porcelain slab countertops are not entirely new, but they definitely qualify as enormously improved, and are poised to grab a well-deserved share of the market. They were first introduced in the late ‘90s as three-quarter inch slabs, comparable to the solid surface and stone tops they were positioned against. The latest versions, seen at Cersaie, Cevisama and LivingKitchen trade shows in Europe, and at recent Coverings and Kitchen & Bath Industry Shows here, are typically three-sixteenths of an inch to slightly thicker than a third of an inch, and offer intriguing new capabilities. 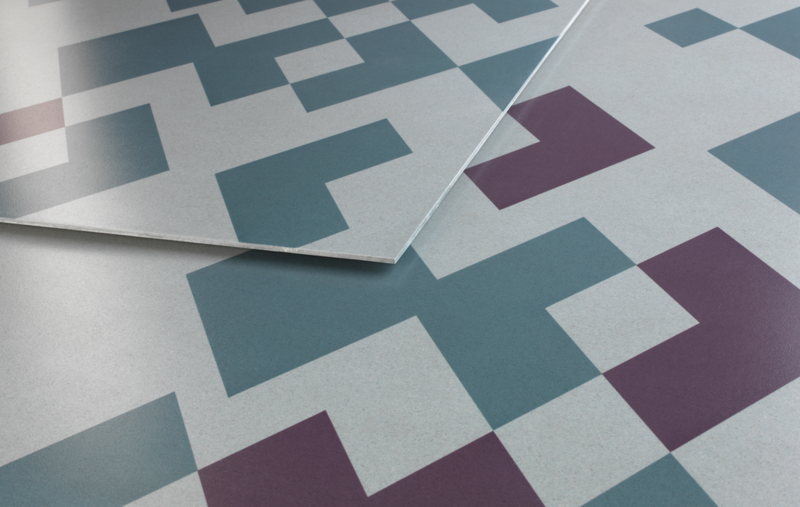 The qualities that make porcelain a winner for kitchen and bathroom floors and walls – mainly its durability, versatility and low maintenance – make it a winner for countertops, too, with some added benefits. Unlike solid surface and engineered stone counters, porcelains are rated for exterior use. As a designer, that lets you create continuity between indoor and outdoor kitchens. 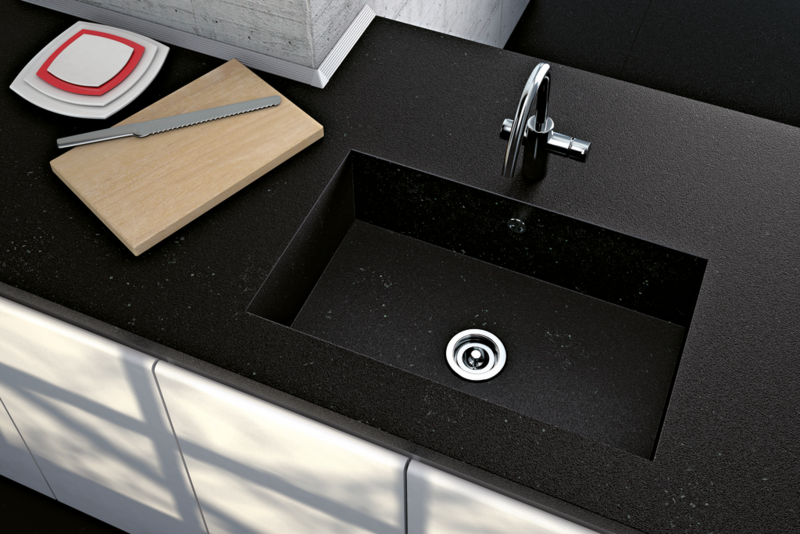 A popular benefit for solid surface clients is the integral sink, which can also be created by porcelain slab fabricators. Unlike solid surface, though, which typically restricts sinks to whites and beiges, integral porcelain sinks can be produced in color- and pattern-matched material. 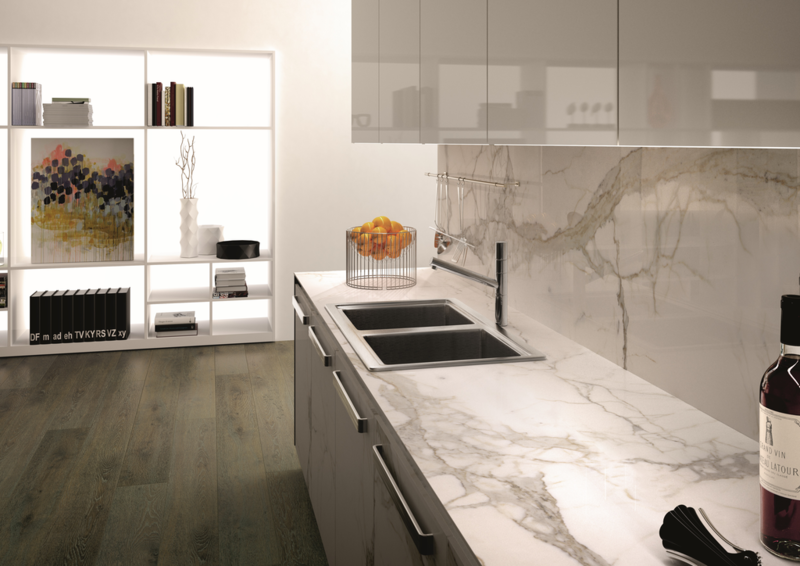 Additionally, the ultra-thinness of the porcelain slabs enhances the sleekness of contemporary kitchen designs. They are so thin, in fact, that they can be installed over existing countertops. Unquestionably, natural and engineered stone counters occupy the largest slice of the high-end market. 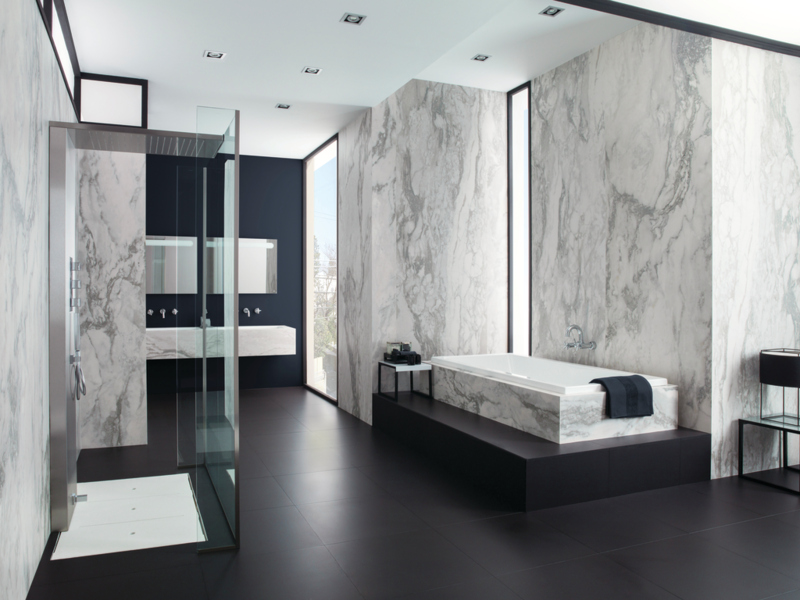 But just as designers are now confidently specifying natural-looking porcelain tile for floors and walls, they now have the option to specify it in oversized slabs for countertops, too. These slabs will be heat and scratch-resistant, like granite, non-porous like quartz, and continually improving their aesthetics with new technologies. 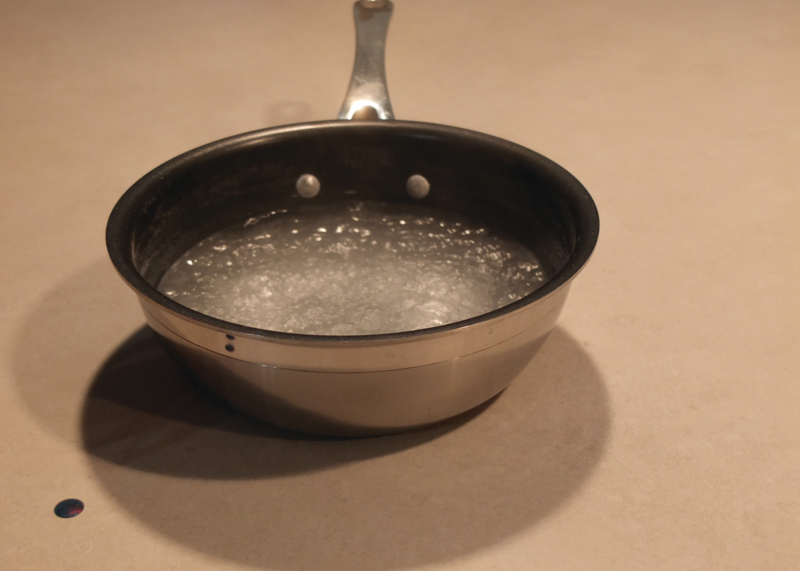 Other innovations Fasan points to include improved glaze and inkjet technologies to produce dramatic metallics, delicate fabric and realistic wood looks that wouldn’t survive the demanding kitchen and bath environment in their natural state. Porcelain tops offer benefits for fabricators, too. First, there’s no need to purchase or modify the machinery already in the shop for stone tops, notes Ken Davis of Escondido, Ca.-based Davis Stone. “Installers love it,” he shares, as the material is so much lighter to load and lift than stone. “It’s easy to cut and easy to install, if you know what you’re doing,” the fabrication company owner adds. He does point out that it requires careful handling. Price-wise, it’s about the same as quartz and granite, or even a little less, Davis says. Another intriguing advancement is complete design customization. Designers can upload a client’s digital image to Italian manufacturer Lea Ceramiche’s LeaLab site and get a totally unique countertop for the client’s project. 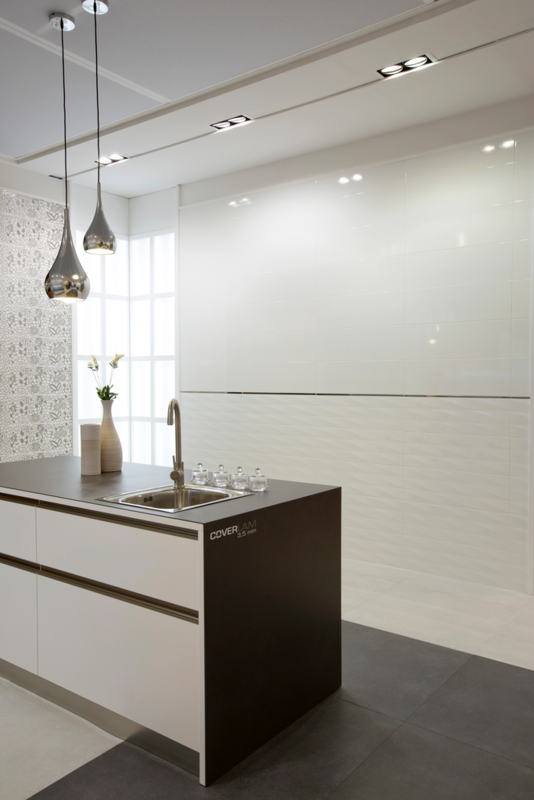 Spanish brand Cosentino, best known for its popular Silestone quartz tops, is introducing a porcelain hybrid, which they sneak previewed at KBIS 2013. Dekton, which hit the market late last year, combines porcelain, glass and quartz for a durable, low-maintenance indoor/outdoor surfacing option. In the last five years, you’ve seen how far porcelain tiles have come in their ability to reproduce natural stone and wood looks for bathroom and kitchen floors and walls. This is what’s next, with the added benefit of creating a space totally personalized to your clients’ taste and needs. Jamie Gold, CKD, CAPS is an independent designer in San Diego, the author of New Kitchen Ideas That Work (Taunton Press, 2012), and a blogger, design journalist, seminar developer and industry consultant.